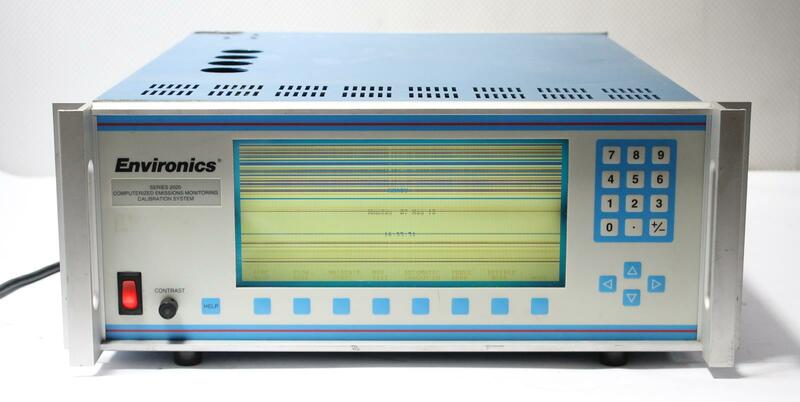 Up for sale is a used Environics Series 2020 Gas Dilution / Emission Monitoring Calibration System. It has been power on tested only, no further testing has been done. 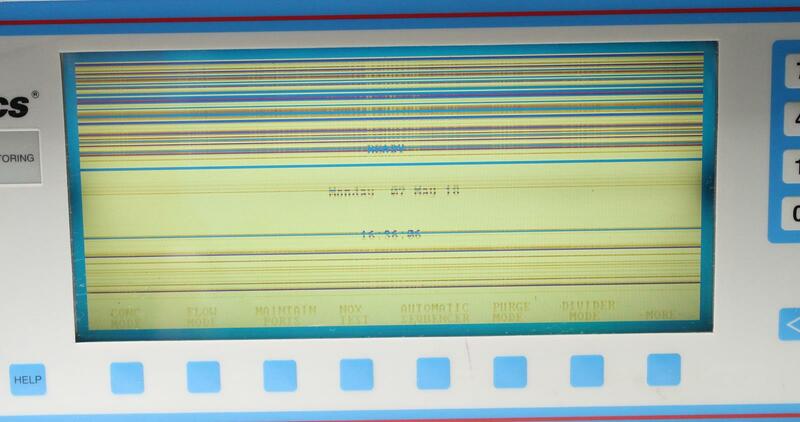 Its display has multiple lines running through it, please see the second picture. The Series 2020 precisely dilutes high concentration Protocol-1 or certified gas cylinders to an infinitely variable range of concentrations from high percents to low parts per million. 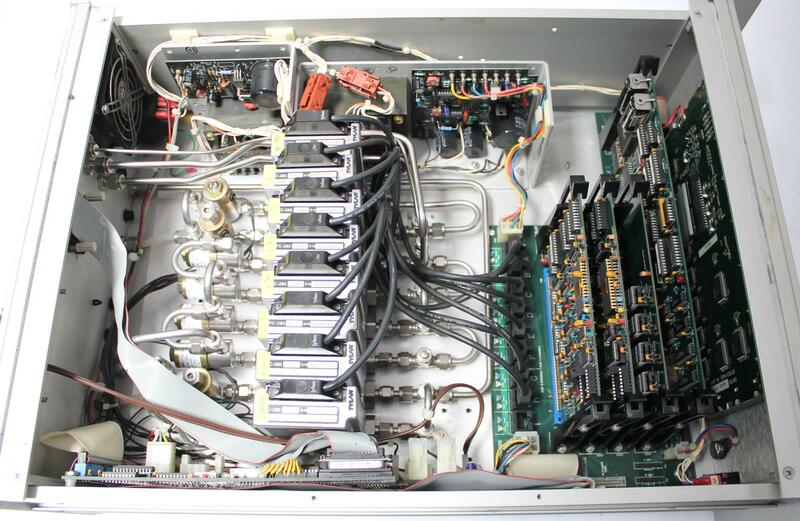 The instrument meets or exceeds the performance requirements of the new United States EPA 40 CFR Part 51 Method 205 Appendix M.
The Series 2020 consists of a single chassis supporting up to six (6) mass flow controllers (standard configuration), a serpentine pre-mix zone and a zero dead-space final mixing zone. Gas wetted surfaces are Electropolished 316 stainless steel. Seals are gas-compatible elastomer. The user interface includes a back-lit 80 character by 25 line cold-cathode liquid-crystal display and membrane keypad. 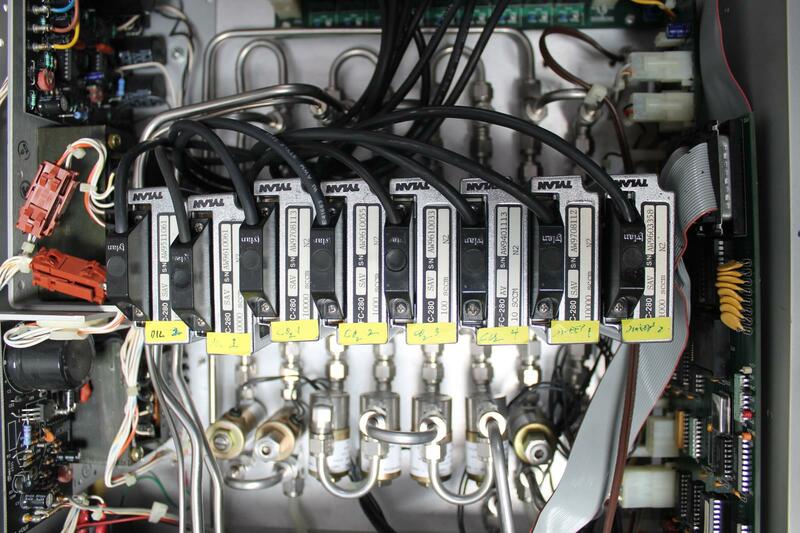 The instrument's mass flow controllers are factory calibrated using a computer controlled primary flow standard traceable to the United States' National Institute of Standards and Technology (NIST). The calibration data consists of an eleven-point comparison of commanded versus actual flow with linear interpolation between the points. The Series 2020 is available in a standard 19 inch rack mountable configuration for station or van usage or a portable bench-top version. The optional RS-232 data interface permits remote or computer operation of the instrument.